Jim Dow’s photographs focus on the passage of time as it is recorded in landscapes from North Dakota to Great Britain to Argentina. Using an 8 x 10 inch view camera, Dow (American, b. 1942) turns his lens to roadside signs, aging buildings, and interiors that feel locked in another era. His images honestly record the scenes before his camera, avoiding sentiments of nostalgia while paying tribute to lands marked by past and current residents. A leading American photographer, Dow pushes his viewer to reconsider familiar surroundings and discern the beauty and cultural history hidden in modern landscapes. Dow first gained attention for his panoramic triptychs of baseball stadiums, a project that began with an image he made of Veteran’s Stadium in Philadelphia, PA, in 1980. To date, Dow has documented more than two hundred major and minor league parks in the United States and Canada. Dow is an internationally exhibited artist and has received awards from the National Endowment for the Arts, LEF Foundation, and the Mellon Foundation. He was also awarded a Guggenheim Fellowship. His work has been published in American Studies (2011), Marking the Land (2007), Where We Live: Photographs from the Berman Collection (2006) as well as in international magazines and academic and fine art journals. In addition to teaching at Harvard University and Tufts University, Dow has taught photography at the School of the Museum of Fine Arts, Boston, for over twenty years. His work is in the collections of the Art Institute of Chicago; J. Paul Getty Museum, Los Angeles, CA; United States Library of Congress, Washington, D.C.; Metropolitan Museum of Art, New York; Museum of Modern Art, New York; Decordova Sculpture Park and Museum, Lincoln, MA; Museum of Fine Arts, Boston, MA; and Victoria & Albert Museum, London, UK. Jim Dow is represented by Robert Klein Gallery, Boston. Lisa Botos is co-founder of Ooi Botos, one of Hong Kong’s leading contemporary art spaces specializing in photography and video installations. Lisa’s strong background in photography stems from years at TIME Magazine as photo editor, where she built a strong background in contemporary visual culture. 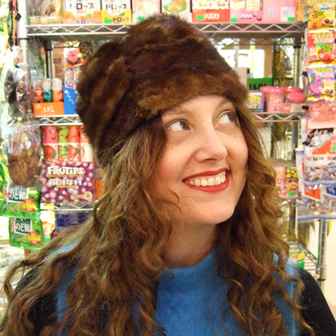 Lisa is based between Singapore and Hong Kong and is an excellent source of knowledge on cultural trends in Asia, the contemporary art market, Chinese art, emergent photography, video and installation art. Robert Gallegos (b.1990) is a Boston based photographer and 2012 BFA graduate of the Art Institute of Boston. He has exhibited work in Brooklyn and Boston. Exploring the complexities of his Mexican-American identity, he uses photography and video to better understand his cultural heritage and place within it. 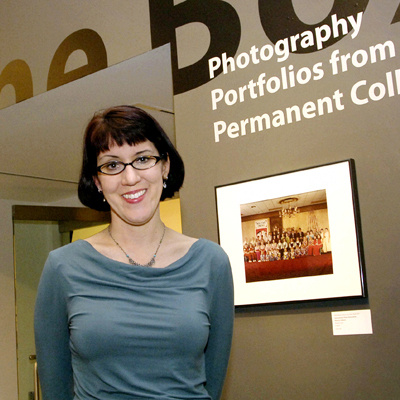 Michelle Lamunière is the John R. and Barbara Robinson Family Assistant Curator of Photography at the Harvard Art Museums where she has worked since 2001. She has also held positions at the Baltimore Museum of Art and the Mid Atlantic Arts Foundation. In 2009 she completed her Ph.D. in Art History at Boston University; she also holds B.A. (Vassar College) and M.A. (University of Oregon) degrees in art history. Lamunière recently co-curated In Character: Artists’ Role Play in Photography and Video at the Addison Gallery of American Art and organized Laurel Nakadate: Say You Love Me at Harvard’s Carpenter Center for the Visual Arts. She is currently working on a two-person exhibition that will be on view at both the Howard Yezerski Gallery (Boston, MA) and Salve Regina University’s Dorrance H. Hamilton Gallery (Newport, RI) in early 2014. Among her publications are the catalogue You Look Beautiful Like That: The Portrait Photographs of Seydou Keïta and Malick Sidibé and three essays on Harvard University’s Social Museum, a collection of photographs and related material illustrating the international social reform movement at the turn of the twentieth century. She has written on contemporary photography for Exposure and Contact Sheet (both forthcoming). Lamunière has given lectures and presented papers at professional conferences and regularly serves as a juror, portfolio reviewer, and guest critic. Liana Mestas is a lens-based artist, exploring southern female identity through photographs, video, objects and installation. She has exhibited work in Grand Rapids, MI and Boston, MA. Liana received her BFA from The Art Institute of Boston. She currently lives in Boston where she works for the deCordova Sculpture Park & Museum and continues to make her own work. Paolo Morales is a photographer. His work has been exhibited at the Detroit Center for Contemporary Photography, Kings Highway Library, C Street Gallery, Bliss on Bliss Art Projects, and Gallery 44, among others. In 2010, he curated a show titled Select Gender at the Farmani Gallery in Brooklyn. He received a BFA from the Art Institute of Boston and currently teaches at PhotoUno Photography School in New York. 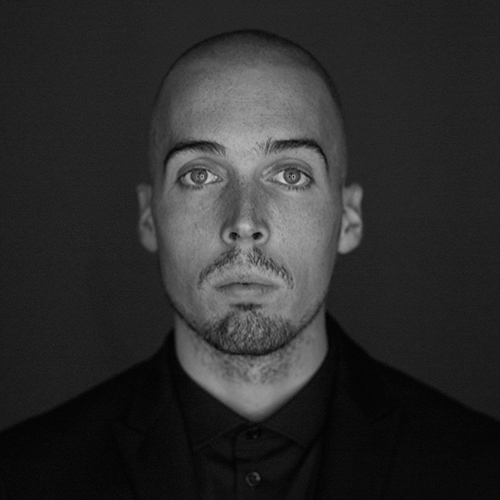 Julien Beaupré Ste-Marie is a photo editor with an international roster of clients and contacts. The photography, video and illustration projects he has commissioned have won National Magazine, Grafika, Lux, NATJA and Pearl awards and have been praised in numerous publications including Applied Arts, Communication Arts, Computer Arts and Creative Quarterly. As a curator he has developed shows for the Magenta Foundation’s Flash Forward Festival, and exhibited in Toronto, Boston, Portland and London. Formerly the Photo Editor of enRoute magazine, he is now Managing Editor/Books & Exhibitions at the Toronto-based Magenta Foundation. Beaupré Ste-Marie possesses a background in Art History and Communications, and his interests lie in fashion and art photography as well as the magazine media. Charles Guice is the director of Charles Guice Contemporary. Recognized for developing new talent as well as for advancing more established artists, he has been instrumental in the careers of several of today’s leading contemporary artists including Erika Diettes, Birthe Piontek, Hank Willis Thomas and Carrie Mae Weems. 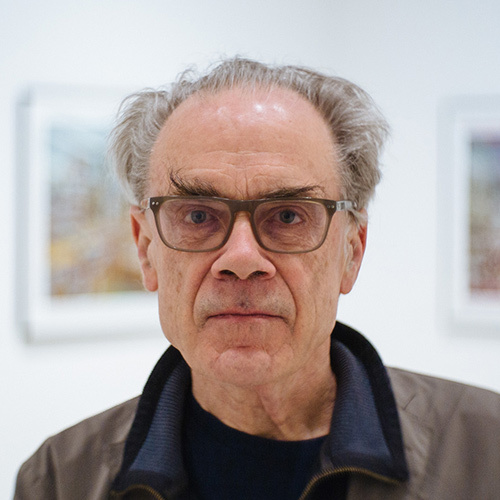 Since establishing his eponymous gallery in 2002, Guice has placed works in prominent private and public collections throughout the United States and abroad, including The Brooklyn Museum of Art, The J. Paul Getty Museum, The High Museum of Art, The International Center of Photography and The Williams College Museum of Art. A former healthcare executive, he has served on the Boards of Trustees for the California College of the Arts and The Museum of the African Diaspora, and was a founding member of the nominating committee for the Aperture West Book Prize. Guice has curated a number of exhibitions throughout the U.S., and was a principal, Managing Director and co-curator for Photo Miami. He has been an invited juror for Center and The Center for Fine Art Photography, as well as a frequent portfolio reviewer at ASMP, Atlanta Celebrates Photography, En Foco, FotoFest, Photolucida, photoNOLA and Review Santa Fe. Guice recently served as a curator for Discoveries of the Meeting Place at the 2012 FotoFest Biennial. Isa Leshko (b. 1971) is a fine art photographer living in Philadelphia, PA. She has had solo exhibitions at the Corden|Potts Gallery, the Galveston Arts Center, the Griffin Museum of Photography, the Houston Center for Photography, the Silver Eye Center for Photography, and the Richard Levy Gallery. Her prints are in numerous private and public collections including the Boston Public Library, the Harry Ransom Center, Haverford College, and the Museum of Fine Arts, Houston. Her images have been published in The Atlantic, The Boston Globe, Frankfurter Allgemeine Sonntagszeitung, The Guardian, Harper’s Magazine, The New York Times, and Süddeutsche Zeitung Magazin. Rania Matar was born and raised in Lebanon and moved to the U.S. in 1984. Originally trained as an architect at the American University of Beirut and at Cornell University, she studied photography at the New England School of Photography and the Maine Photographic Workshops. She teaches photography at the Massachusetts College of Art and Design. Matar’s work focuses mainly on women. Earlier projects recorded the lives of women and children in the Middle East, and over the past three years she has completed A Girl and Her Room and started a new project L’Enfant-Femme. Matar has won numerous awards, including the 2011 Legacy Award at the Griffin Museum of Photography, 2011 and 2007 Massachusetts Cultural Council artist fellowship, first place at the New England Photographer Biennial and Women in Photography International. She has received honorable mentions at 2010 UNICEF Picture of the Year Award, Lens Culture Exposure International, Silver Eye Center for Photography Fellowship, and CENTER. She was selected at one of the Top 100 Distinguished Women Photographers by Women in Photography, and was finalist for the Foster Award at the Institute of Contemporary Art, Boston. Her images are in the permanent collections of several museums worldwide and her work is represented by galleries in the US, Lebanon, Singapore and Qatar. Matar’s work has been widely exhibited in the US and internationally, most recently at the Institute of Contemporary Art Boston, Southeast Museum of Photography Florida, Blue Sky Gallery in Portland Oregon, Leica Gallery in Solms and Warsaw, Sana Gallery in Singapore and Galerie Janine Rubeiz in Beirut. A selection of her work will be included in a major exhibition about Women Photographers from the Middle East, at the Museum of Fine Art, Boston in the fall of 2013. A Girl and Her Room is Matar’s second book with essays by Anne Tucker and Susan Minot. It was recently listed as one of the best photo books of 2012 on PDN, Photo-Eye, British Journal of Photography, Feature Shoot and Le Journal de la Photographie. Her first book Ordinary Lives was published in 2009 with an essay by Pulitzer Prize winner, the late Anthony Shadid. Federico Casalegno, Ph.D., is the Director of the MIT Mobile Experience Lab at the Massachusetts Institute of Technology, SHASS, program in Comparative Media Studies. Since 2008, he has been the director of the Green Home Alliance between the Massachusetts Institute of Technology and the Fondazione Bruno Kessler in Italy. He has been awarded an honorary professorship by the Glasgow School of Art, University of Glasgow. 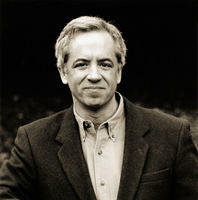 A social scientist with an interest in the impact of networked digital technologies on human behavior and society, Dr. Casalegno both teaches and leads advanced research at MIT, and designs interactive media to foster connections between people, information and physical places using cutting edge information technology. He has published several scientific papers in peer reviewed journals, books and articles. For the Living Memory connected community project he was awarded the Best Concept prize by the American Leading Industrial Designers I.D. Magazine, and the Silver Prize Design Concept by the Industrial Designers Society of America (IDSA). Peter DiCampo is a documentary photographer and co-creator of the Everyday Africa project, a collection of daily life images from across Africa that are published on streaming platforms Instagram and Tumblr. DiCampo launched his freelance career while also serving as a Peace Corps Volunteer in rural Ghana. His work has since been published by National Geographic, TIME, Newsweek, The New York Times, The Wall Street Journal, Foreign Policy Magazine, and many others. In 2012, he was named one of PDN’s 30 Emerging Photographers to Watch and was a finalist for the Magenta Foundation Flash Forward, among numerous other awards. Lizzie Gillett is the producer of the climate change blockbuster, The Age of Stupid. The film was Number One at the UK box office, and screened on TV, DVD and in cinemas around the world. On the five-year production she managed a crew of 105 people in six countries and raised one million pounds through the pioneering crowd-funding model. She now works with WITNESS, a non-profit based in New York that uses video to open the eyes of the world to human rights issues. Steph Goralnick is a Brooklyn-based photographer and designer who captures the mayhem of New York City and shares stories of daily life with the mobile photography community on Instagram. Her work has been published on CNN.com, PDN, Feature Shoot, TheDaily, Pictory Magazine, and JPG Magazine. Andrew can count the world’s leading publications as clients, and he splits his time between New York City and Shanghai. His portraits have appeared in Vanity Fair and The New Yorker, his travel work regularly appears in Conde Nast Traveler and Travel + Leisure, and his architecture and lifestyle work finds its way into the pages of Wallpaper, Monocle, and Dwell. His profile features have appeared in Esquire, and GQ. He was honoured with a PDN30 award, an award that recognizes the top 30 up-and-coming photographers worldwide; as well as awards from the Magenta Foundation, Px3, and the APA. 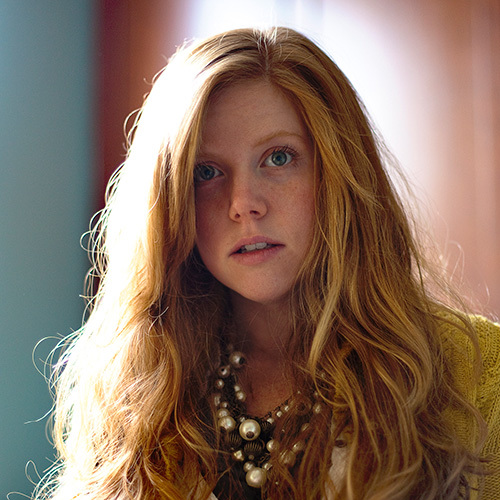 Skye Senterfeit is the Assistant Photo Editor at Travel + Leisure magazine in New York. Prior to joining T+L’s photo department in 2010, she was the Publishing Coordinator at Newmarket Press, and previously worked in the editorial department at Explore Australia Publishing in Melbourne, Australia. She studied biology and classics at the College of Charleston in her home state of South Carolina and holds a masters in Publishing and Communications from the University of Melbourne. Originally from Coastal North Carolina, Theron Humphrey is a photographer who has lived and worked across the country. In 2011, he started a kickstarter-funded project across the US, meeting and photographing someone new every day. He takes his coonhound Maddie on his adventures. James Estrin is a Senior Staff Photographer for the New York Times. He is also the co-editor of Lens, the Times‘s photography blog. Mr. Estrin has worked for the Times since 1987 and was part of a Pulitzer Prize winning team in 2001. In addition to photographing, editing and blogging, he writes for the Times and produces audio and video for nytimes.com. Internationally, he has covered the Israeli-Palestinian conflict several times, chronicled the journey of immigrants between Mexico and the United States, and photographed the devastation in Haiti following the earthquake. In 2004, Mr. Estrin was the first journalist to document an assisted suicide in Oregon through photographs, articles and an audio slide show. Mr. Estrin is an adjunct professor at the City University of New York Graduate School of Journalism. He attended Hampshire College and the graduate program at the International Center of Photography. Before joining the Times, he was a staff photographer at The Jackson Clarion-Ledger in Jackson, Mississippi and also worked in Washington and New York City. Henry Horenstein has been a professional photographer, teacher, and author since the 1970s. He studied history at the University of Chicago before turning to photography, earning his BFA and MFA at Rhode Island School of Design (RISD), while studying under legendary photographers Harry Callahan and Aaron Siskind. Henry’s work is collected and exhibited internationally, and he has published over 30 books, including Black & White Photography: A Basic Manual, used by hundreds of thousands of college, university, high-school, and art-school students as their introduction to photography. He has also published several monographs of his own work, including Show, Honky Tonk, Animalia, Humans, Racing Days, Close Relations, and many others. Henry lives in Boston, and is professor of photography at RISD. Photo of Henry Horenstein by Jack Booth. Gus Kayafas is President of Palm Press, Inc., a photographic atelier in West Concord. Arlette Kayafas is Director of Gallery Kayafas, a photography gallery located in Boston’s South End. Together they have collected photography for over 45 years. Marc Prüst is active as photography consultant, curator, and teacher. In that capacity he edits books, creates exhibitions, teaches and organizes workshops and masterclasses, lectures and writes on photography, and advises photographers on how to develop their work and how to market it. He has successfully launched the Northern Lights Masterclass, a one year masterclass for professional photojournalists and social documentary photographers, in September 2010. Prüst also teaches Visual Identity classes at Spéos Photographic Institute in Paris. He was one of three curators for the FotoGrafia festival in Rome for the period 2010 – 2012, and the creative director of the only photo festival in Nigeria, LagosPhoto. Marc Prüst (1975) worked for the World Press Photo Foundation from 2001 to 2007, where he organized and installed exhibitions all over the world. In 2005 he was responsible for the exhibition and award winning publication Things As They Are, Photo Journalism in Context since 1955, for which he worked in close cooperation with curator Christian Caujolle and editor Chris Boot. In 2007 he moved on to Agence VU’ where he was mainly responsible for the international cultural activities of the agency. In 2009 he left the agency to start for himself as freelance curator, consultant, and teacher. Neal Rantoul is a career artist and educator. He retired from 30 years as head of the Photo Program at Northeastern University in Boston in January 2012. He taught at Harvard University for thirteen years as well. He now devotes his efforts full time to making new work and bringing earlier work to a national and international audience.